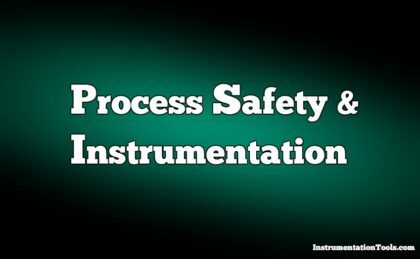 Here we discuss about instrumentation related to industrial process safety. Instrumentation safety may be broadly divided into two categories: how instruments themselves may pose a safety hazard (electrical signals possibly igniting hazardous atmospheres), and how Process Safety and Instrumentation and control systems may be configured to detect unsafe process conditions and automatically shut an unsafe process down. In either case, the intent of this article is to help define and teach how to mitigate hazards encountered in certain instrumented processes. I purposely use the word “mitigate” rather than “eliminate” because the complete elimination of all risk is an impossibility. Despite our best efforts and intentions, no one can absolutely eliminate all dangers from industrial processes. To illustrate, there does exist a non-zero probability that something you will read in this book is so shocking it will cause you to suffer a heart attack. However, the odds of you walking away from this book and never reading it again over concern of epiphany-induced cardiac arrest are just as slim. What we can do, though, is significantly reduce those risks to the point they begin to approach the low level of “background” risks we all face in daily life, and that is no small achievement. An important philosophy to follow in the safe design is something called defense-in-depth. This is the principle of using multiple layers of protection, in case one or more of those layers fail. Applying defense-in-depth to process design means regarding each and every safety tool and technique as part of a multi-faceted strategy, rather than as a set of mutually-exclusive alternatives. Note : Frangible roofs are a common design applied to liquid storage tanks harboring the potential for overpressure, such as sulfuric acid storage tanks which may generate accumulations of explosive hydrogen gas. Having the roof seam rupture from overpressure is a far less destructive event than having a side seam or floor seam rupture and consequently spill large volumes of acid. This technique of mitigating overpressure risk does not work to reduce pressure in the system, but it does reduce the risk of damage caused by overpressure in the system. Any one of these techniques will work to reduce the risk posed by excessive fluid pressure in the system, but all of them used together will provide greater risk reduction than any one used alone. Also Read : Why we use Intrinsic Safety ? What is Safety Instrumented Functions ?